If you’re a fan of betting on Overs (such as Over 2.5 goals during football games) you’ll just love the story of this guy’s accumulator win. In December of last year one plucky punter decided to bet that there would be a goal by every team playing on Tuesday and Wednesday’s Premier League fixtures. Some games went down to the wire. An injury time goal by Cardiff’s Josh Murphy ensured that the bet stayed alive. Southampton’s last gasp consolation goal against Tottenham courtesy of Charlie Austin sealed the deal, turning the lucky punter’s £30 stake into a cool £15,000. As a matter of interest, this was the first time that all 20 teams have scored in a single game week for over 8 years. A nice pre xmas win for one lucky individual. Multiple bets – that is, doubles, trebles, accumulators – are popular with betting shop and stay-at-home punters alike, mainly because they offer the prospect of high returns for small outlay when compared with single win bets. Essentially, the winnings from each successful leg of a multiple bet, including the stake, become the stake for the next leg and so on; the bettor is, in effect, combining a series of single bets into one bet, at the combined odds. The allure of multiple bets is plain to see but, while there’s a great deal of satisfaction in relieving your bookmaker of tens, hundreds or even thousands of pounds for a stake that’s a fraction of that size, there are one or two things to remember when building your multiple bet. Each leg of a multiple bet is, by definition, a separate bet requiring a separate stake. 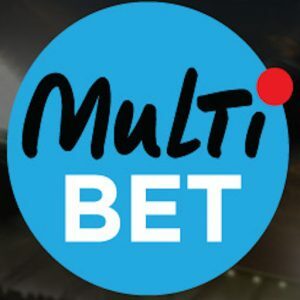 The multiple bet known as a “Yankee”, for example, combines four selections in six doubles, four trebles and an accumulator, making 11 bets in total. The total number of bets for five and six selections, in a “Canadian” or “Heinz”, remains fairly manageable, at 26 and 57, respectively, but beyond that starts to become a little unwieldy. The so-called “Super Heinz”, which combines seven selections, requires 120 bets, while the “Goliath”, which combines eight, requires 247 bets. Remember, too, that you’re betting at combined odds, so expect long losing runs and loss of control of your betting bank, in terms of how frequently it is turned over. You can, of course, build a multiple bet with as many selections (within reason) and to whatever stake you like, but it’s probably best to make your selections first and then choose the most appropriate multiple bet. You’re betting at combined odds, after all, so it’s wise to include only selections that you feel confident about. If you’re a stay-at-home punter, you may be tempted to include selections in all the races shown on terrestrial television on a Saturday; this not only serves to increase the number of bets, but may lead to wishy-washy, indecisive selections that actually reduce your chances of winning. I’ve often posted about football accumulators, and horse racing multiples, as there have been some eye spinning wins over recent years and even months. 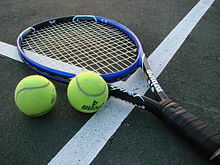 I don’t recall highlighting a great many Tennis accumulators though, so here’s one to keep you tennis fans dreaming of future riches! A lucky Ladbrokes punter last month placed a small £5 on an 18-fold tennis bet (£2.30), and 18 17-fold bets. Totalling £5, the resultting win was an incredible £186,574.91.